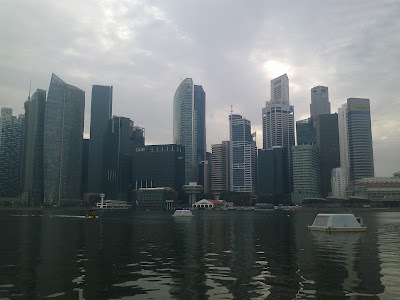 Where else in Singapore can you find tall skyscrapers and a huge amount of office towers? Well, Raffles Place of course! 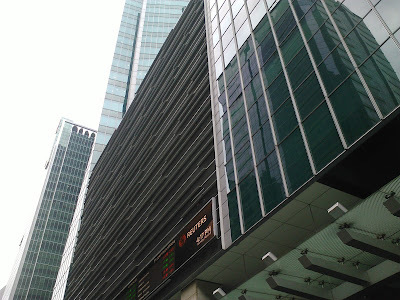 In this article, let me talk more about Singapore's Central Business District, Raffles Place. 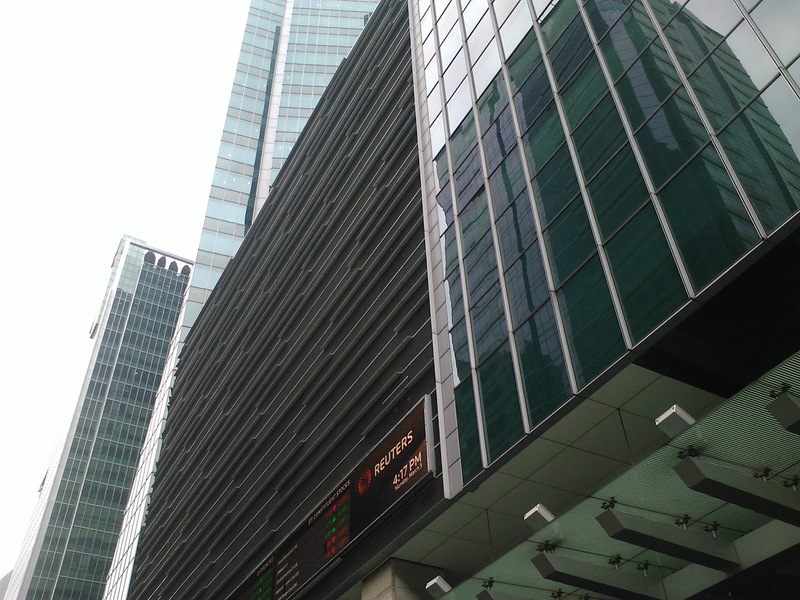 Raffles Place is the place where most office workers come to work at several office towers. 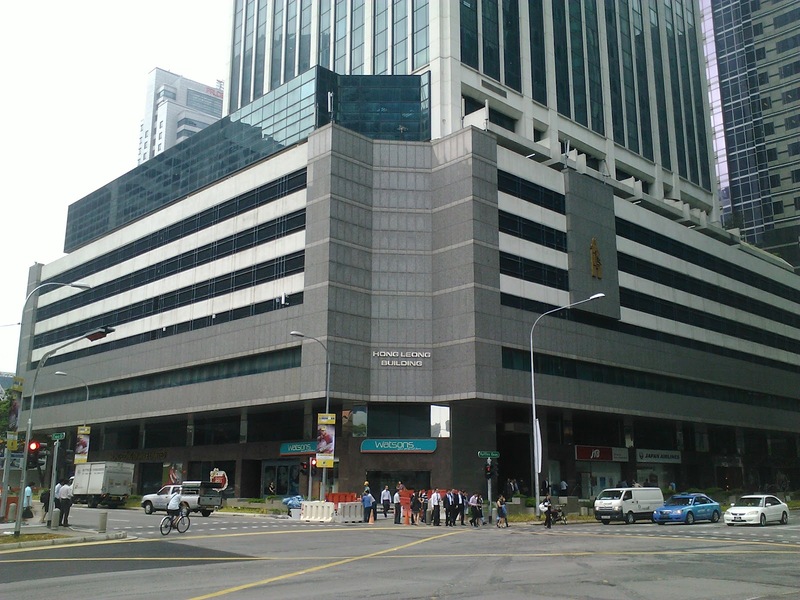 Most headquarters of banks are located here and this is also the place where you can find several indie food establishments and the famous Lau Pa Sat food centre. If you don't work here, you will not know that Raffles Place is unlike other places in Singapore. During morning peak hours, huge crowds of office workers come here to work and it's best to avoid taking the MRT at these hours. During the evening peak hours, it will be time for the office workers to head home and just like the morning peak hours, avoid taking the MRT at around this time. 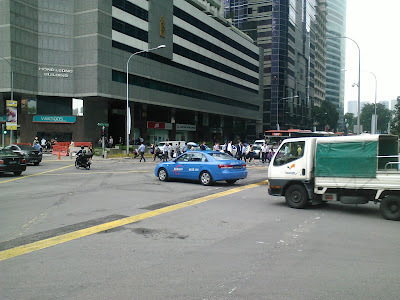 Another time to avoid visiting Raffles Place is during lunch break from 12 noon to around 2 plus where workers will flock to several eating establishments and have their lunch break. Whereas on weekends, it's best to come here on Saturday mornings. 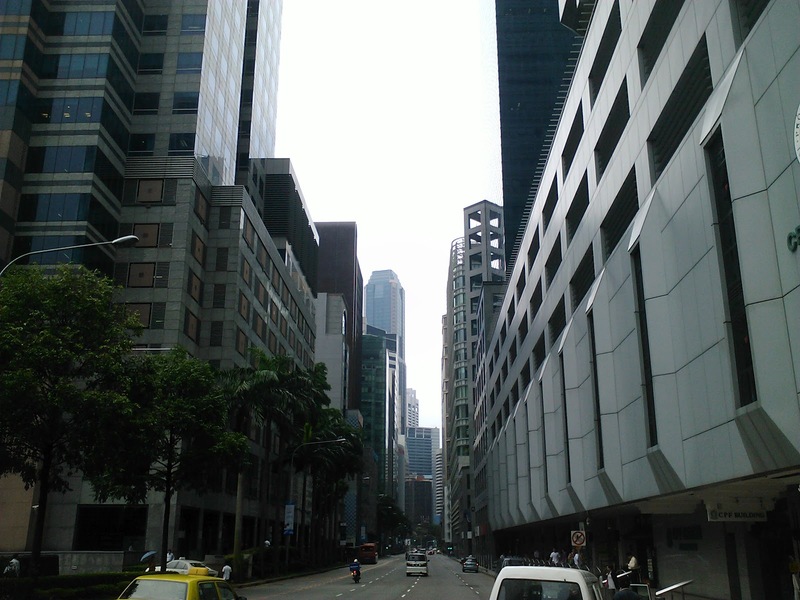 In a Saturday afternoon and night, Raffles Place will be totally empty and it'll look like a ghost town. On Sunday, Raffles Place is a ghost town the whole day. So Raffles Place is totally not like other places in Singapore. If you are coming here to check out and explore Raffles Place, it's better to come here on weekday mornings after the peak period, weekday afternoons before the peak period and on Saturday mornings. Still, Raffles Place has lots of beautiful buildings and architecture and it's also a place where Singapore's tallest buildings are located. 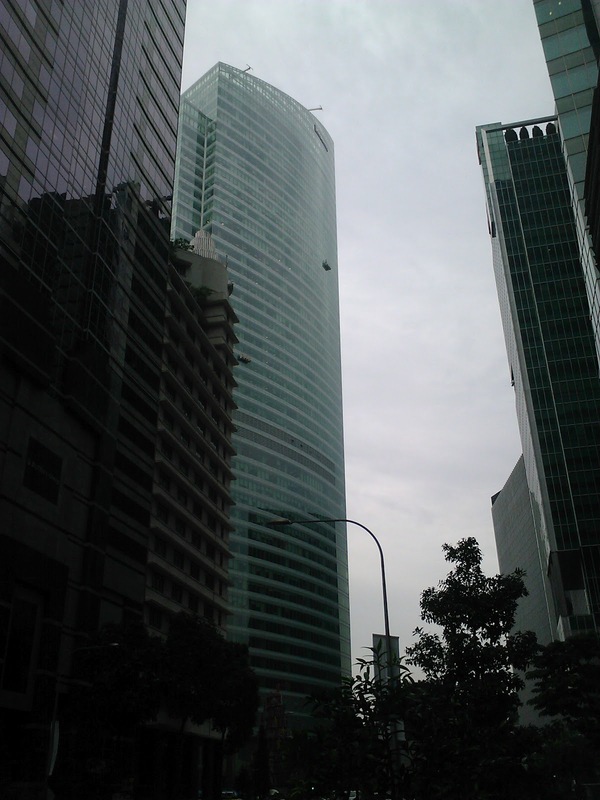 The picture above is the Capital Tower which is the headquarters of a major Singapore company, CapitaLand. 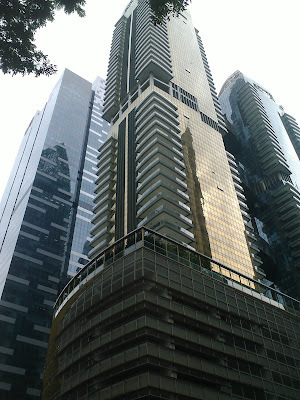 The anchor tenant of the Capital Tower is the Government of Singapore Investment Corporation. 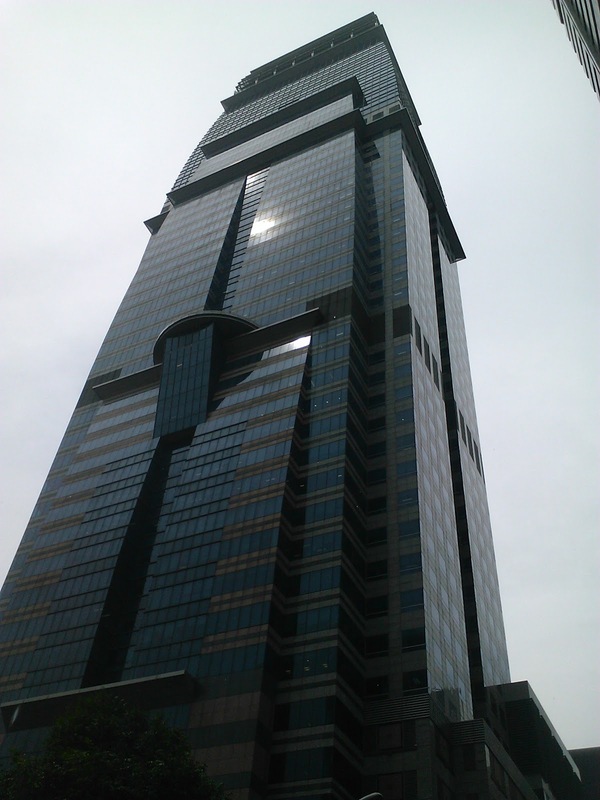 The building is 254 metres tall, has 52 floors and has double deck lifts (which are very rare in Singapore). I particular like the architecture of the building and that's the reason why I took a photo of this. It's amazing right? You can see the reflection of the sun and it doesn't look like a typical blocky grey building. 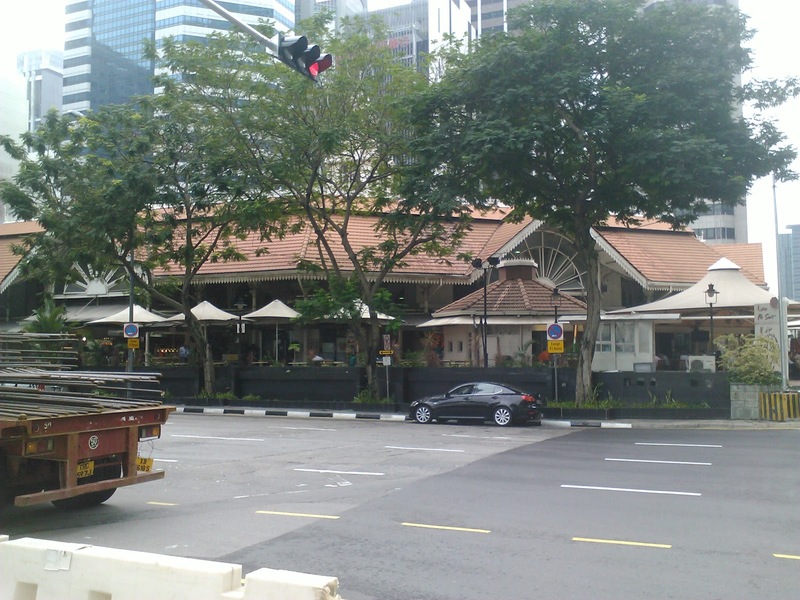 The two pictures above are pictures of one of Singapore's oldest and most famous food centres, Lau Pa Sat. Formerly known as Telok Ayer Market, the food centre has a wide variety of food from different cuisines ranging from Chinese food to Halal food to Satay to Italian and so much more. Another particularly unique feature of Lau Pa Sat is that every night, a portion of the road beside it, Boon Tat Street, will be closed for a row of Satay stalls known as Satay Street. Satay is a popular dish that's made of marinated barbecued meats served on bamboo skewers and side dishes include rice cakes, peanut sauce and onions. At night, when you can come here, many stallholders will be shouting at you asking you to buy from their stalls. Wooden tables and chairs will be scattered everywhere along the closed road and that's how Al Fresco dining works at Lau Pa Sat. Apart from the Satay Street and the wide range of food stalls in the food centre itself, there are also several restaurants located just right outside Lau Pa Sat (they're still part of Lau Pa Sat). 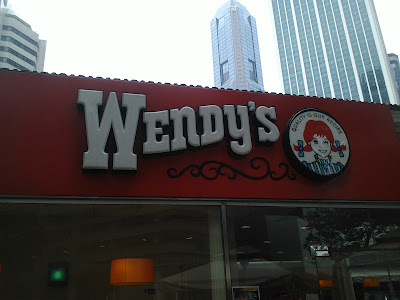 One of them is Wendy's, which is an American fast food chain which just opened in 2009 and has several outlets located around the island of Singapore including NEX, Jurong Point and Yishun 10. The other restaurant is an Italian restaurant serving pizzas and pastas. Moving on, this building is a relatively new building known as One Shenton. 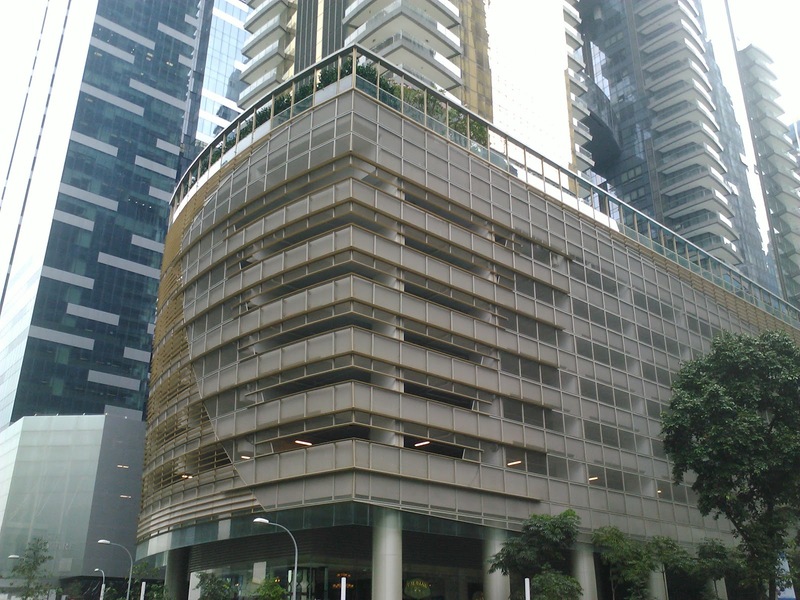 It's one of the newest buidings in the Raffles Place area and the building's located right across the Lau Pa Sat. It's also near the Marina Bay area. One Shenton is located along Shenton Way and it's a new residential apartment which has facilities like swimming pools, gyms, a sky garden and so much more. I'm not entirely sure if it also doubles up as an office tower but it's one tall building. Another unique feature about One Shenton is that the side of the building is gold plated. I have never heard of any buildings that have been gold plated before so I'm guessing this is the first building in Singapore to be gold plated on one side. The architecture is futuristic with the golden exteriors and the beautiful blue glass panes make it pleasing to the eyes but not the wallet. This place is only for those who are willing to spend more. Just right across One Shenton is One Raffles Quay. In Singapore, it's a trend for modern buildings to have the number and the address in the building names. Guess they're not that creative or maybe they want to make it fancy? 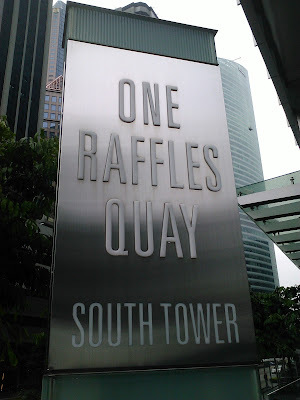 Anyway, One Raffles Quay is another office tower in Raffles Place which is also one of the tallest. There's two towers, the North and South towers and it is also the place where a lot of international banks are located such as UBS, RBS, Credit Suisse, Barclays Capital and so much more. 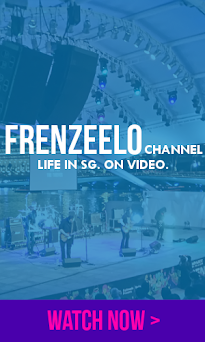 There's also an underpass that links directly to Raffles Place MRT Station and an array of shops is also present at the One Raffles Quay underpass. The North Tower of the building has a total of 50 stories and the South Tower has a total of 29 stories. If you work here, you are so fortunate as there's direct link to the MRT and there's a very nice view from your office. 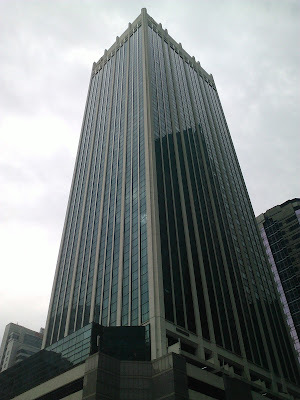 Right opposite One Raffles Quay, is Hong Leong Building. This building is where the headquarters of Hong Leong Holdings is located. 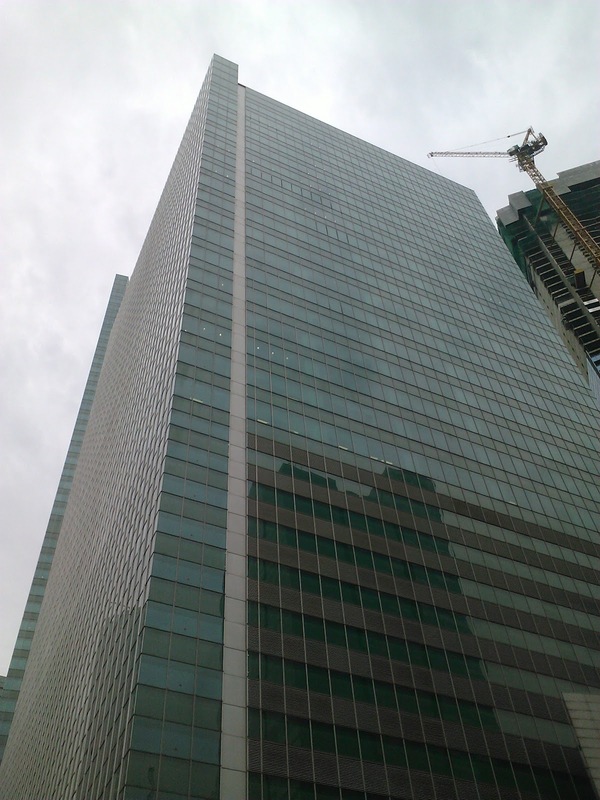 The building's tall but unlike other tall buildings in the Raffles Place vicinity, it's not one of the tallest. It's an office tower and there are shops on the ground floor like Watsons and Maybank. 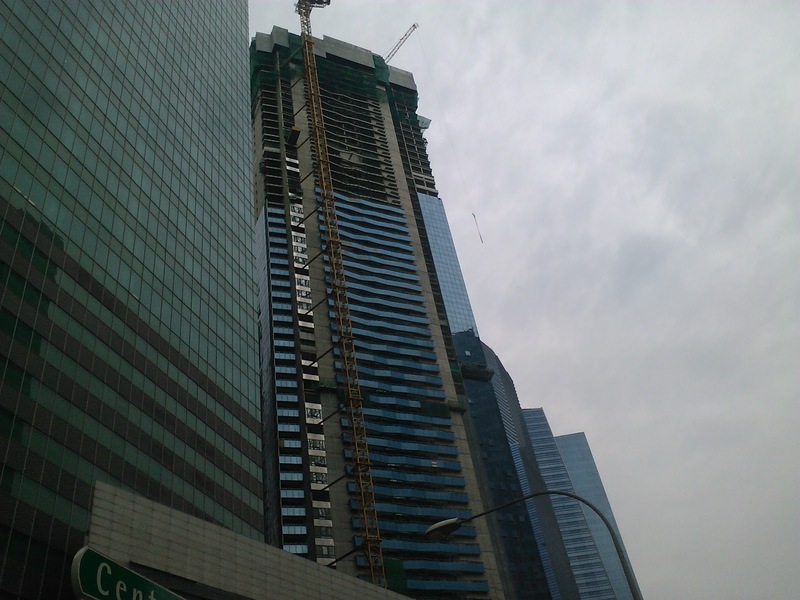 The cluster of buildings that's just right above is one of the newest additions to Raffles Place and Marina Bay areas. It's known as the Marina Bay Financial Centre with serviced apartments located right beside it known as the Marina Bay Suites and a condominium known as Marina Bay Residences. Underneath the cluster of buildings is a relatively new underground shopping mall, Marina Bay Link Mall. 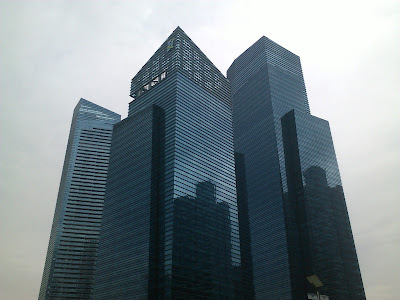 The Marina Bay Financial Centre is an office tower and it's where the Standard Chartered headquarters is located. The Marina Bay Suites is still under construction and the Marina Bay Residences is somewhat similar to the Marina Bay Suites as both are condominium apartments with luxurious facilities and a magnificent view of the Marina Bay area. Underneath is the Marina Bay Link Mall which has several eating establishments and a wide range of shops ranging from clothes to electronics to food kiosks to cafes and so much more. Marina Bay is now known as the new extension to Raffles Place. New office towers have sprung up around the area along with new shopping malls and condominiums to ensure that Marina Bay is a place for people to work, live and play. The architecture of the Marina Bay Financial Centre itself look like blue crystals and they are definitely head turners. Apart from Raffles Place MRT Station being located in close proximity to these buildings, a new MRT Station, Downtown MRT Station on the Downtown Line will be located underneath for greater convenience for people living and working here. Here's more pictures of Raffles Place. You can see the amount of office workers on their way to lunch and also the line of tall skyscrapers that are located along Robinson Road. Above is also a picture of the city skyline as seen from Marina Bay Sands and it's the famous picture that you can find in almost every Singapore-oriented postcard. It's too bad that I did not visit the main part of Raffles Place with Chevron House and One Raffles Place which are closer to Raffles Place MRT Station and the famous green lawn that's featured in television all the time. Maybe that will be featured in a future write up. Overall, my visit to Raffles Place was great. Beautiful tall skycrapers that make the place a more vibrant place to check out and its close proximity to two MRT stations make it easy and convenient to come here. Just don't forget to visit here at the appropriate times. 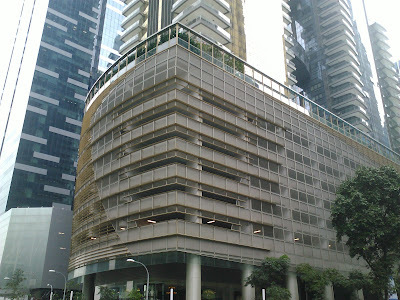 The Singapore City Gallery which was featured in an article I have written months back (article here) is also located right here in Raffles Place along with the other famous food centre, Maxwell Food Centre. It's not just a place for office workers only, it's also a place for everyone if you know where to look.